Use our free mobile app to customize alerts, arm or disarm, view sensor and alarm history, and check visitor activity, from anywhere. 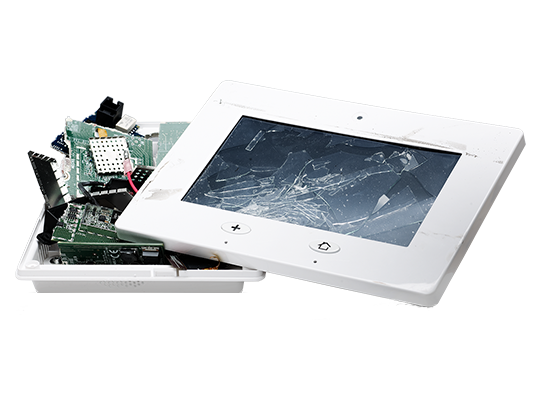 Our Crash & Smash Protection means in the event that your Control Panel is damaged or destroyed, it will still alert the Monitoring Center to send help. Get alerts right away via text or email when any of the sensors at your home are triggered. Plus, you’ll be able to track visitors and family members entering your home. Never stumble into a dark home again. Turn lights on and off from anywhere, set them to turn on and off on a schedule, even make them motion-activated. 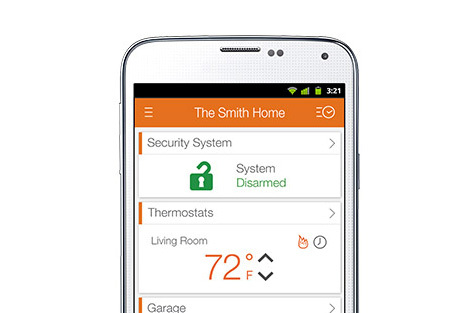 Set real-time alerts, like those that let you know when you leave your home without arming your system, and more. 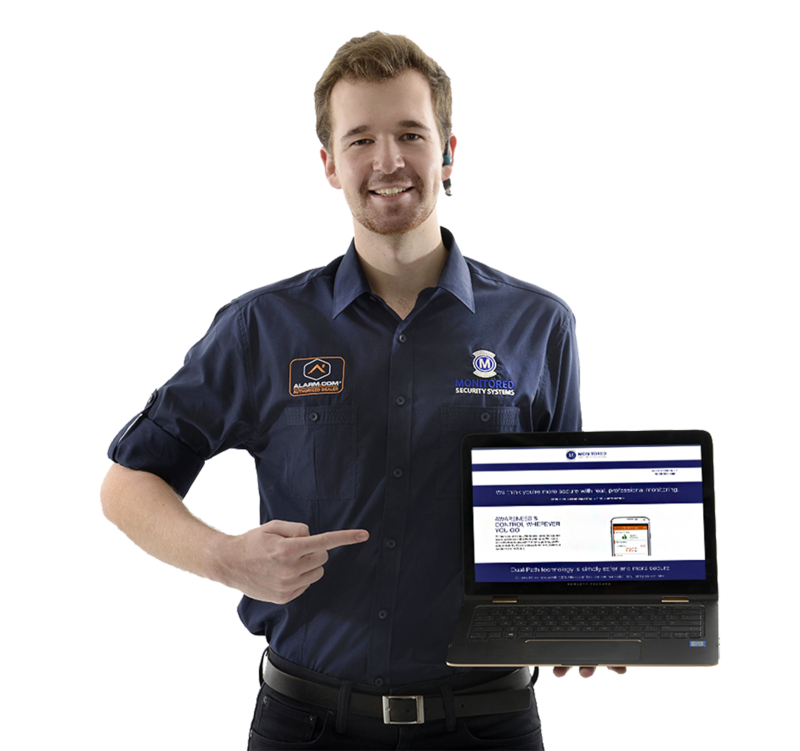 "The system was simple to purchase, arrived quickly, and I had it all set up in approximately 30 minutes (including activation). I've had my system for about one year, and it's been flawless. " 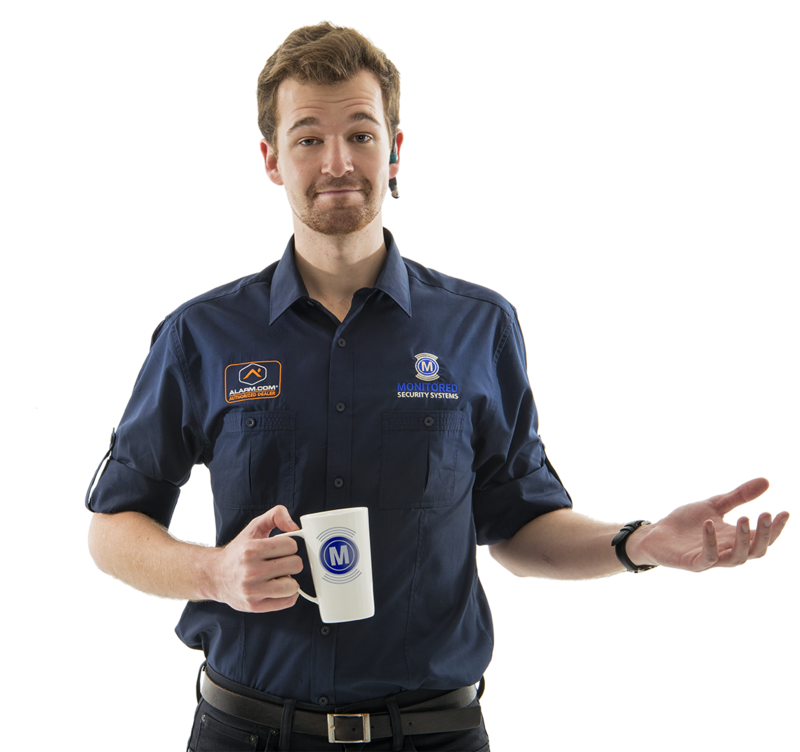 Request a free quote on your system or set up a call with a Monitored expert today. Monitored knows that your needs are unique. That’s why our solutions are Tailored to fit you. And, it’s why we’ve tried to make this site easy to navigate so you can find just what you need for a system that works for you.